As I wander through different cities, I try my best to keep track of where I spot ghost signs. This two-in-one for Ballard’s is somewhere in Birmingham, but I have no idea where. On the left is Ballard’s Obelisk, with Ballard’s Insurance Feeds on the right. I don’t even understand what these signs advertised. Love these too and like the term “ghost sign.” I haven’t heard that before. Ballard’s Obelisk was a flour milled in Louisville for many years. 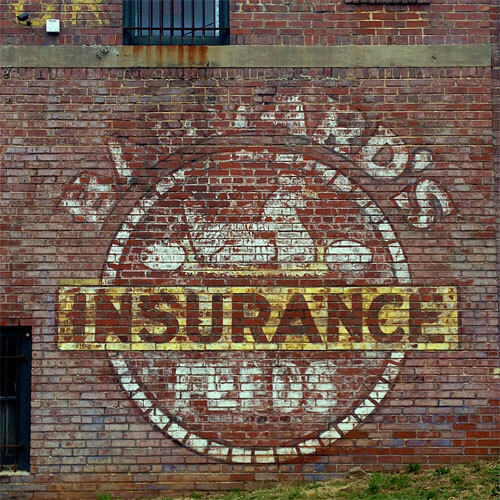 Ballard’s Insurance Feed — I’m speculating — was animal feed, probably for chickens. 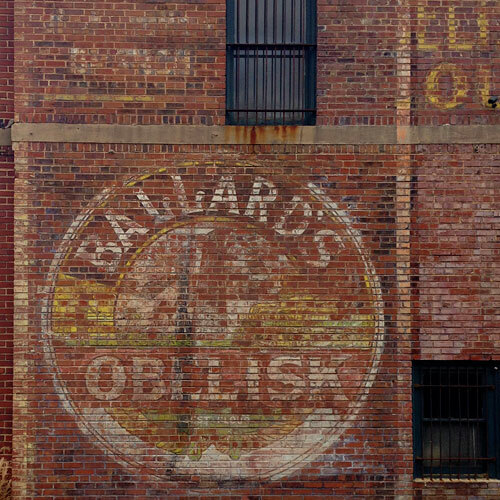 I recall a nice big Ballard’s Obelisk ghost sign on the License Commission bldg. in downtown Tuscaloosa. God knows whether it withstood the tornado of a couple years back. 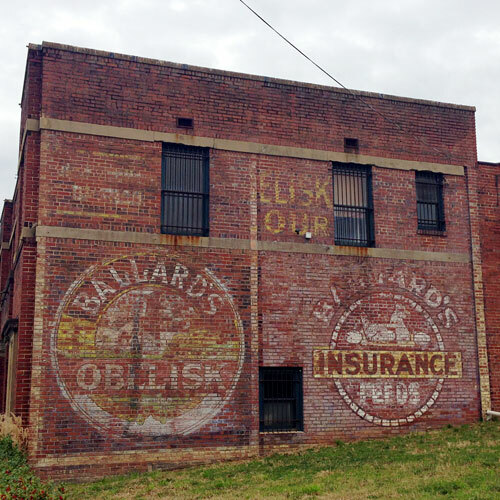 The Ballard’s ghost sign you photographed is probably on First Avenue South in Birmingham. First Avenue South was once one of the main business districts, as recently as the 1950’s. Thanks, Joseph! Wow, 25th St. — we walked farther than I thought. Wow, I have no idea, but it’s an amazing ghost sign!